Will your monster look like this one? I love doing Draw a Rhymes in my classroom. If you have never heard of this activity, it is when you read a poem that each rhyming word suggests what the children draw. It can be done by having the children work together to complete the Rhyme Drawing on the board or you can have each child create their own at their tables. Personally, I like to do both, so we create a class drawing AND each child works on his/her own. 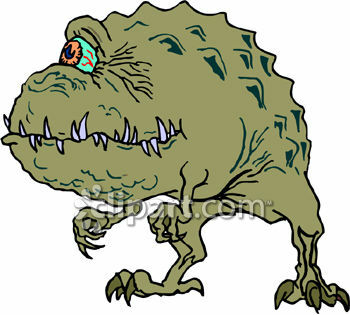 Maybe your monster will end up looking like this one! This particular one I am sharing as a freebie is Draw a Rhyme Monster. These turn out so funny! I wish I had some examples to share, but I haven't done it with my class yet this year. I like to send the rhyme home as well so that parents are aware of the purpose of the drawn monster activity and can go over it with their child. Older children could write a descriptive piece describing their original monster. With this freebie, you can either blow this sheet up onto 11x17 paper (if your photocopier has that capability) OR just have the children cut out the poem and glue it to their larger paper. I have also had them do a draft on the small paper and then turn it into a final draft on larger paper. Have fun with your Draw a Rhyme Monster Activity! Click here to go grab it! Check out Debbie's Monster Linky Party! Link up with us! Thanks so much for linking up & sharing such a great idea. I know there will be many that will benefit from your ideas. Will you do it with your students this year? I'd LUV to see some of their work.